Securities and Investment Advisory Services offered through Woodbury Financial Services, Inc., Member FINRA, SIPC, and Registered Investment Adviser, PO Box 64284, St. Paul, MN 55164 (800)800-2638. 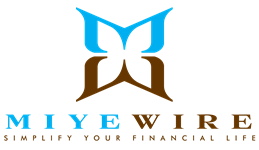 MiyeWire, LLC and Woodbury Financial Services, Inc. are not affiliated entities. Services offered only where licensed to do business. services currently offered in CA, DE, DC, FL, GA, KS, KY, MD, MA, MO, NC, PA, RI, TX, VA, WA, WV.